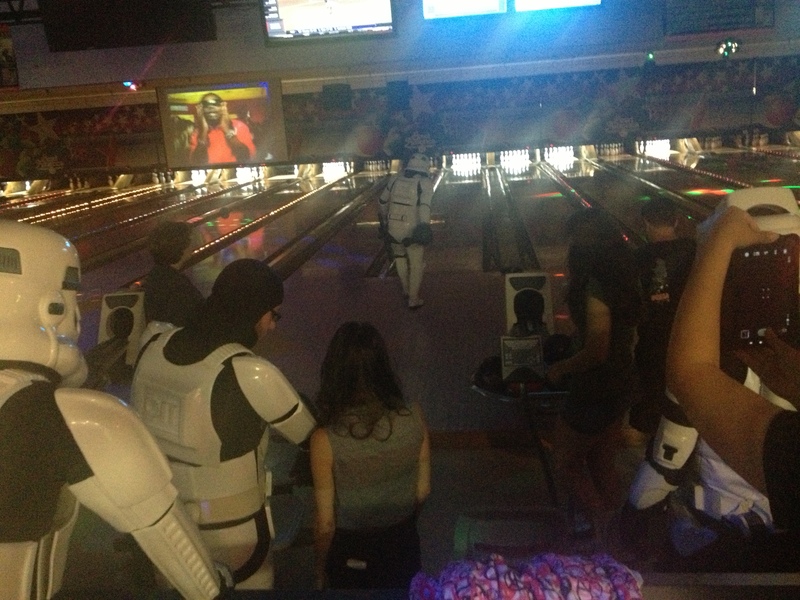 What do you get when you mix Squad 7 troopers and bowling? You get bowling pins cracking up….. laughing at such a site. Yep it was Cosmic Bowling at Bowl-America were the http://www.walk-of-hope-foundation.org raised over $1,100.00. We greeted a crowed of fun and exciting families that were gathered to join us for the evening of cosmic bowling. After posing for pictures and passing out high fives for the crowd, some of the troopers laced up some bowling shoes and settled in for a night of bowling. It was quite a site to see them grab a bowling ball and march up to the lane and with all the style and grace of a Stormtrooper, delivered a rolling blow to the evil pins at the end of the lane. you should see these guys and girls in actions, take a look at the video provided below.